Jamshied Sharifi was born October 17, 1960 in Topeka, Kansas to an Iranian father and an American mother. At an early age, Sharifi was exposed to Jazz and Middle Eastern music by his father and to European classical and church music by his mother. He began to study classical piano at age five and quickly developed a thirst for musical instruction and a desire to improvise. At age nine he began studying guitar and drums, and at age ten added flute. After graduating from the Massachusetts Institute of Technology with a degree in humanities, Sharifi went on to further his musical education at Berklee College of Music in Boston. At Berklee, he studied Jazz Piano and Composition as well as Film Scoring, and in 1983, he received of the Outstanding Jazz Pianist award at the Collegiate Jazz Festival held at the University of Notre Dame. He studied with noted trumpeter and Charlie Parker sideman Herb Pomeroy, and after graduation from Berklee, Pomeroy asked Sharifi to lead the MIT Festival Jazz Ensemble, a post Pomeroy had held for twenty-two years. From 1985-1992, under Sharifi's direction and leadership, the group recorded two CDs, performed twenty of his compositions, and won the prestigious Notre Dame Collegiate Jazz Festival in 1991. During this time, Sharifi also taught in the Music Synthesis and Ensemble Departments at Berklee. In 1992, he left his teaching positions in Boston and moved to New York City in search of new musical endeavors and opportunities. Sharifi began to focus his attention to film soundtracks. His foray into the world of film and television began as a keyboardist and orchestrator for Michael Gibbs. Together they scored three feature films and fifteen one hour television shows. Sharifi went on to compose the soundtracks to many major studio and independent films including Muppets From Space, Down To Earth, Nickelodeon film Harriet the Spy and the Paramount/Nickelodeon film Clockstoppers, and contributed to the scores of The Thomas Crown Affair, The Rugrats Movie and Disney's Movie of Andrew Auld's 6th Animated Featurette Ed, Edd n Eddy's Halloween Movie. And while Sharifi's initial focus in music can be credited to American jazz, it is his infusions of elements from the Middle East and Africa that make his music distinctive. 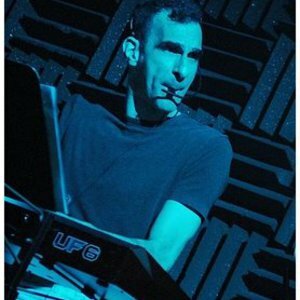 He is an accomplished pianist and synthesizer player. Notably, Sharifi holds the synthesizer to an ?acoustic' standard and aims to play it with the detail and richness of articulation that comes naturally to an acoustic instrumentalist. To achieve this sound he uses a controller which allows him to manipulate the synthesizer with his breath. He combines this technique with a ribbon controller that allows him to bend the pitch smoothly and continuously with his finger. According to Jamshied, using both these techniques makes the instrument a ?wind-driven, fretless synthesizer?. In addition to creating his own albums and scoring films, Sharifi has arranged and produced albums for many artists, including Tibetan vocalist Yungchen Lhamo, and Persian vocalist Mamak Khadem. He has also recorded four albums with world fusion band Mo Boma. His first solo album, A Prayer for the Soul of Layla, received much critical acclaim including Best Contemporary World Music Album at the 1st Annual New Age Voice Music Awards. His current release "One" continues to explore his inimitable approach to music. ?For both One and A Prayer for the Soul of Layla, the inspiration has been to make music true to my heart and interests? says Sharifi. ?I have had the opportunity to work on a number of different musical projects, very often helping another artist to realize his or her vision. These records reflect my ongoing love for and exploration of music outside of what we think of as Western music.? For Dream Theater's album Octavarium he arranged and conducted for various orchestra instruments, including strings and horns. On April 1, 2006, he conducted the orchestra for the Dream Theater 20th Anniversary World Tour performance at Radio City Music Hall in NYC. This concert was released on the Dream Theater CD/DVD Score. Jamshied Sharifi's first record, "A Prayer For The Soul Of Layla", was inspired by his daughter, Layla Sakamoto Sharifi.